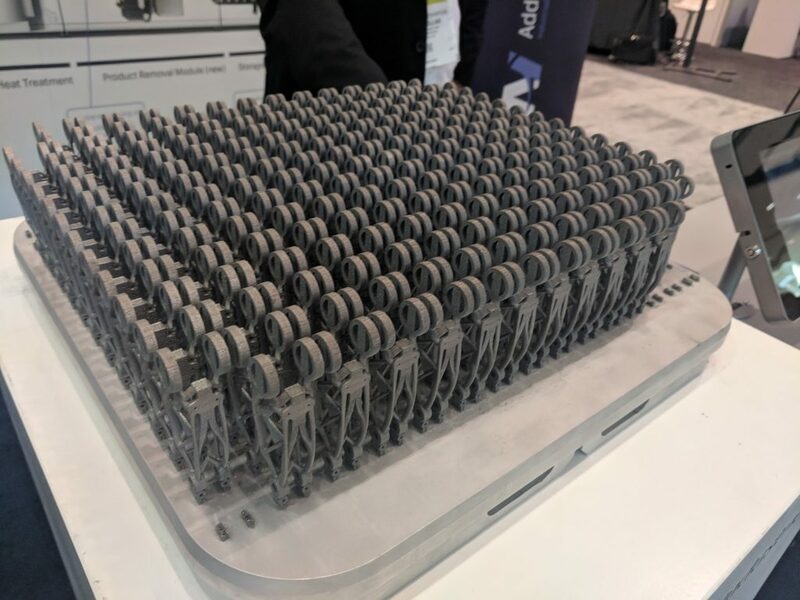 Self-driving 3D printed vehicles, beer-pouring robots, robots 3D printing, whirlyball playing robots – ok I made that last one up but automation – together with additive manufacturing – is clearly a dominant theme at IMTS 2018. 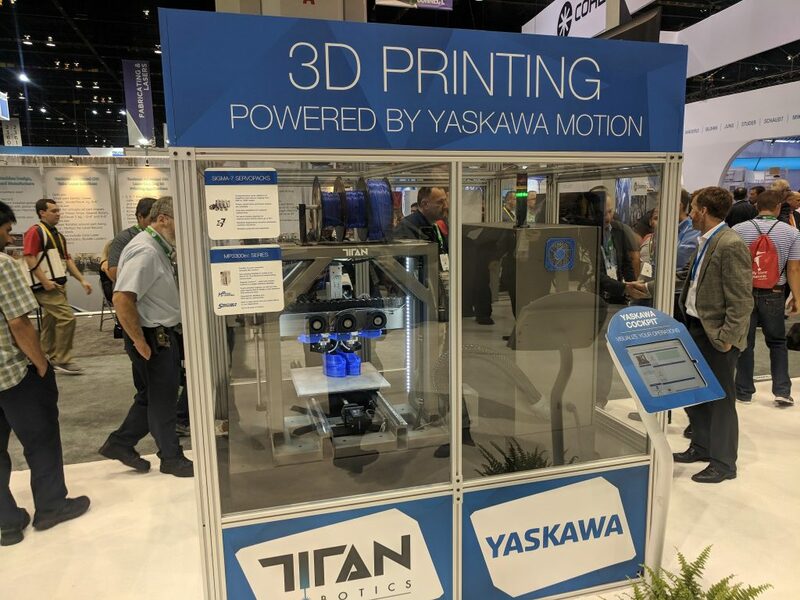 Titan Robotics and Yaskawa 3D printing at IMTS 2018. Photo by Michael Petch. Automation is self-evidently a technology that does not stand in isolation – there must be something to automate. 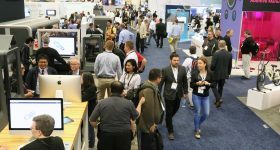 While AM shows have featured automation to various degrees, formnext 2016 stands out in this regard, the exhibitors in Chicago this year make such a synergy more tangible than ever. At IMTS 2018 3D Systems and GF are demonstrating the DMP Factory 500. Additionally, the EOS M 300-4 features shared modules that are designed to function in an automated factory such as the Premium AEROTEC/Daimler NextGenAM project. 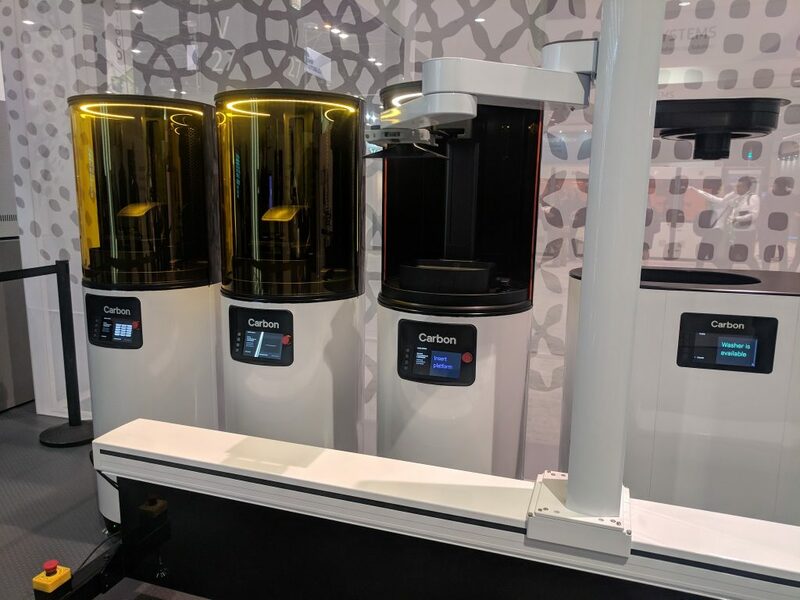 Also, Carbon has built a demo manufacturing cell at their booth, and several miles away at Fast Radius a “real-world” example has been assembled. I spent several hours at what Fast Radius describes as the “largest Carbon factory in the Western hemisphere” with the “greatest number of Carbon machines in North America” – 11 DSL 3D printers in case you were wondering – a full report will be coming soon. Carbon demo manufacturing cell at IMTS 2018. Photo by Michael Petch. For now, I can say that the manufacturing cell at Fast Radius is intended to operate with a Universal Robots arm, 2 DLS systems and a Smart Part Washer. Notably the World Economic Forum in conjunction with consulting firm McKinsey has recently declared Fast Radius the only “factory of the future” in North America and a “manufacturing lighthouse.” This is remarkable given the 40 strong team operates from a relatively small space in a primarily office district, and may indicate a new mode of production. 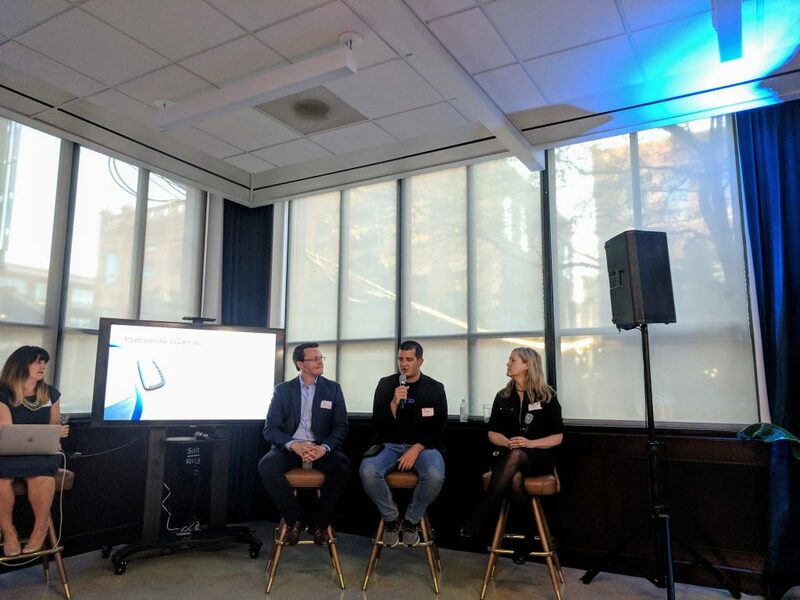 Carbon’s Phil DeSimone speaking at Fast Radius. Photo by Michael Petch. 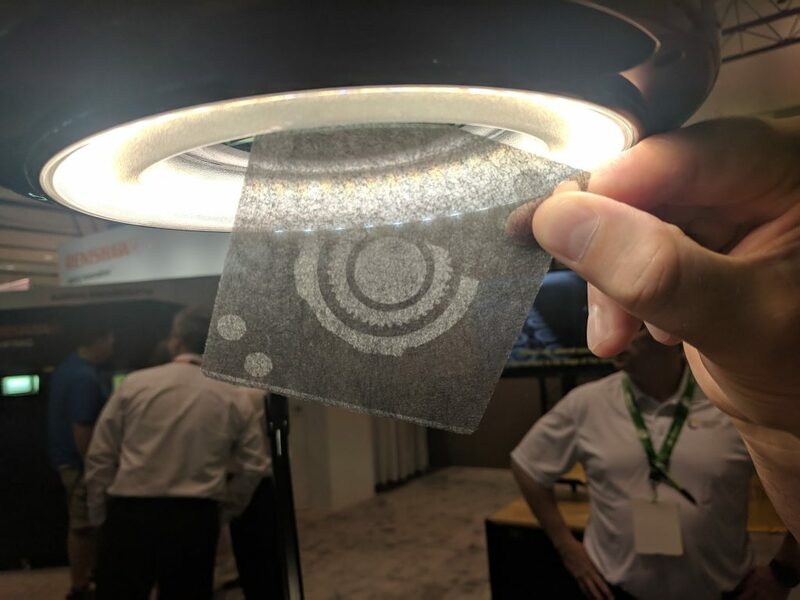 And, while it is easy to be swept along by hype, speaking during the press preview day Fraunhofer Executive Vice President and board member Dr. Georg Rosenfeld stated that, “the smart factory is no longer a trendy buzzword.” Expect to see a lot more examples of additive and automation by the end of the year. 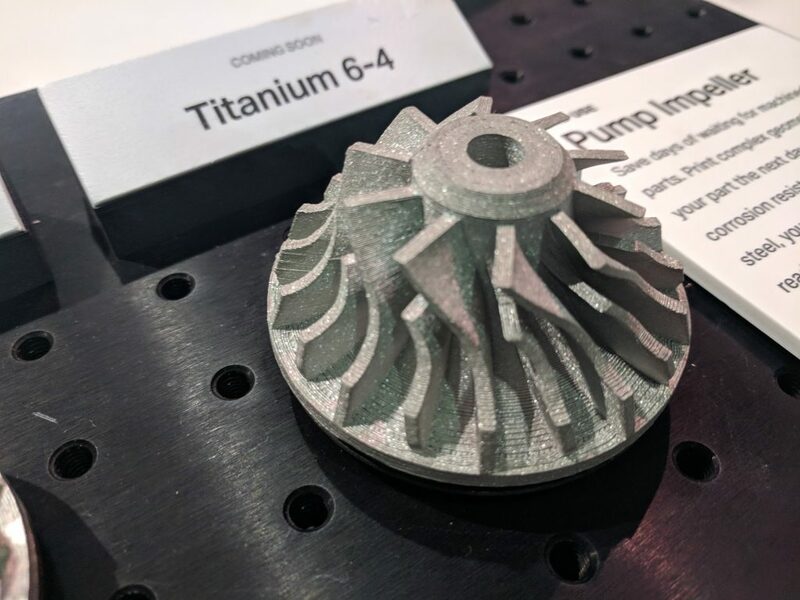 Another theme in Additive Manufacturing at IMTS 2018 is “Materials, materials, materials and you can add another one,” as 3D Systems CEO VJ puts it to me. In the expanding range of 3D printable materials, Carbon Fiber has a strong presence. 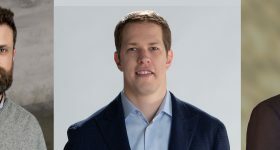 Its use is present in the pelletized feedstock described in a presentation by Austin Schmidt, President of Additive Engineering Solutions at the Additive Manufacturing Conference on Large Format Additive Manufacturing (LFAM). 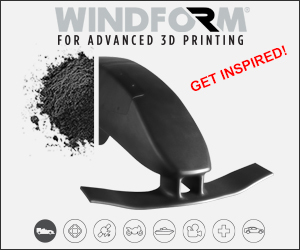 However, rather than directly imbuing the final component with additional strength, here CF is used to prevent deformation caused by residual stresses during the 3D printing process. Very important when working with material deposition rates of 40-140 lbs per hour. Austin Schmidt, Additive Engineering Solutions. Photo by Michael Petch. 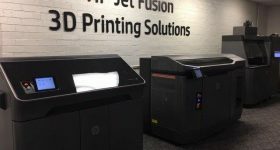 With multiple machines installed at Jabil, Ford and the U.S Airforce, Impossible Objects is one company using Carbon Fiber in a different way to other 3D printing enterprises here at IMTS. 3D printed Carbon Fiber by Impossible Objects. Photo by Michael Petch. 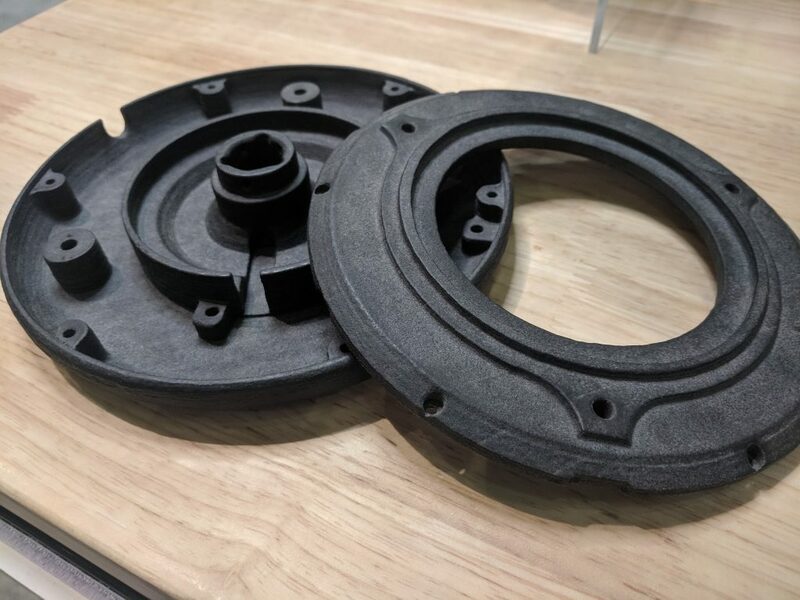 Carbon Fiber sheets are processed using the Composite-Based Additive Manufacturing (CBAM) method to make parts suitable for high temperature and other demanding environments. These include “lots of drone parts” and “spare parts for in service craft” explains Jeff DeGrange, Chief Commercial Officer. Carbon Fiber sheets used by Impossible Objects. Photo by Michael Petch. At the Markforged booth Trak Lord, Director of Communications, shows me several of the forthcoming materials for the now available Metal X desktop sized 3D printer. 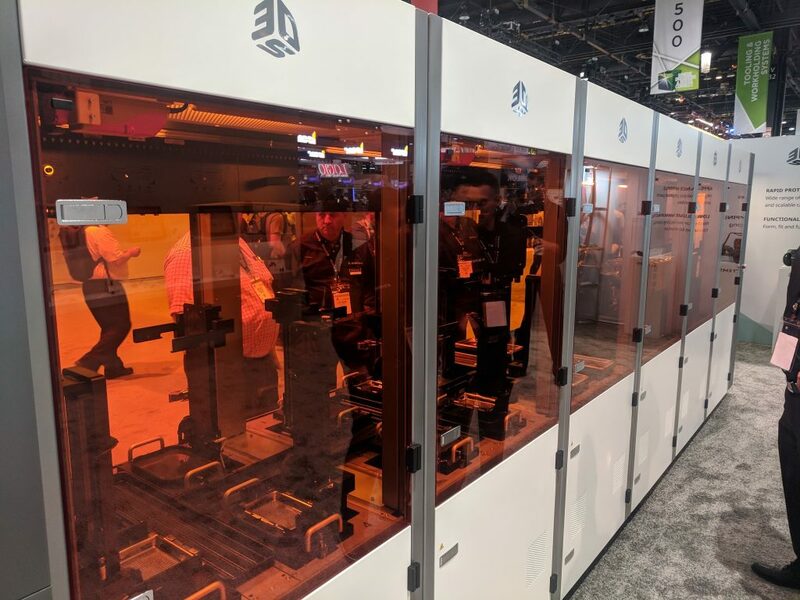 The Metal X can also be seen printing at the Markforged booth. 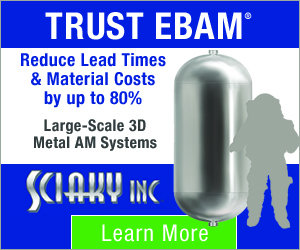 The new materials include Titanium, Inconel 625, and 316L Stainless Steel. 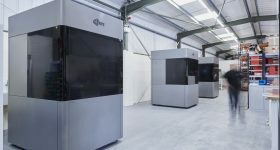 This metal system and the continuous carbon fiber 3D printers have driven a 300% growth in headcount and a 200% growth in customers at Markforged. “We were the first to market with a desktop sized metal printer,” says Lord proudly. The Comms. 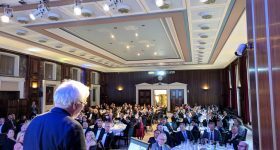 Director also says that 3D printing is, “the decathlon of engineering,” acknowledging that the combination of materials science, software and hardware is no easy task. On the show floor and at the various offsite after-expo events, this sentiment is echoed. 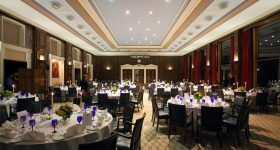 A common grumble from resellers, customers and even sales managers is the availability (or rather lack) of long announced products. Counter to this is the sensible argument that its in nobodies interest to ship a product which fails to live up to claims. Italy’s Roboze is the subject of no such complaints. Their upgraded Roboze One+ 400 has improved functionality for working with high grade thermoplastics such as PEEK. 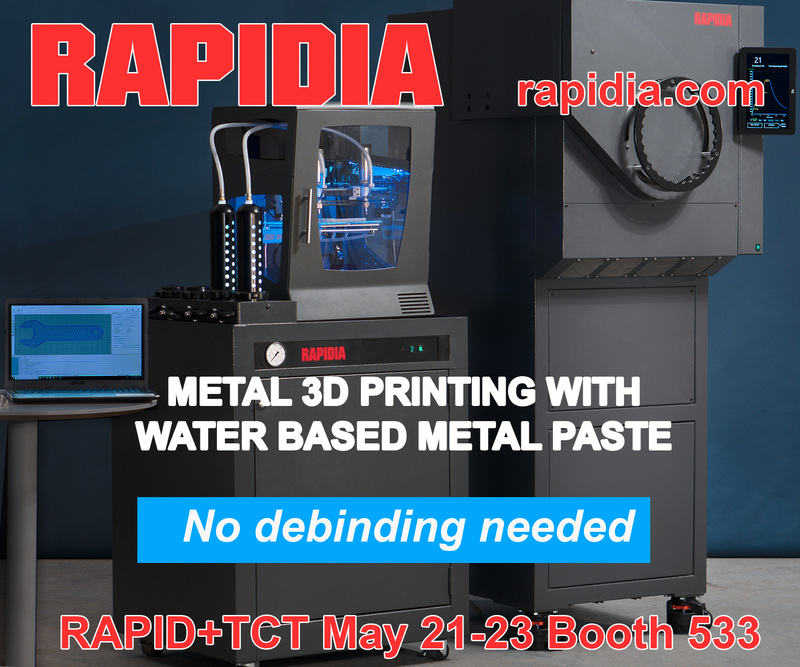 The printer is operating at booth 432002 and printing this resilient material with minimal effort. The enhancement that make this possible stem from a new air compressor, or Venturi Box as Roboze call it. Compressed air is used to control cooling at the now single nozzle One+ 400’s extruder. The Venturi Box also serves to create a vacuum on the build plate – as anyone who has printed in PEEK will have experienced, part removal can be an arduous task. The vacuum system solves this problem. With the addition of a top mounted filament dryer to deter “the enemy of PEEK,” aka moisture, the Roboze One+ 400 is an attractive proposition. Were my luggage not full of promotional material and data sheets I would certainly try to persuade Roboze to let me take the 3D printer back for the 3D Printing Industry engineering team to test. 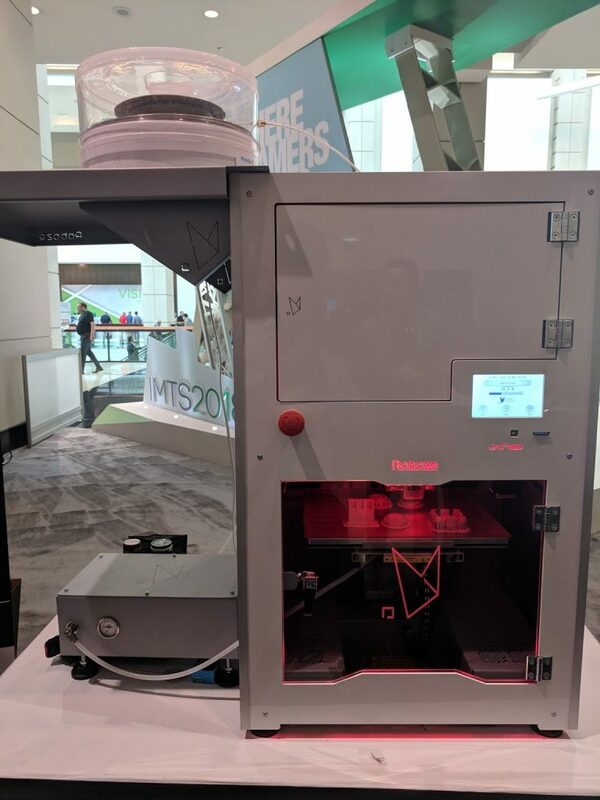 3D printing PEEK with Roboze at IMTS 2018. Photo by Michael Petch. 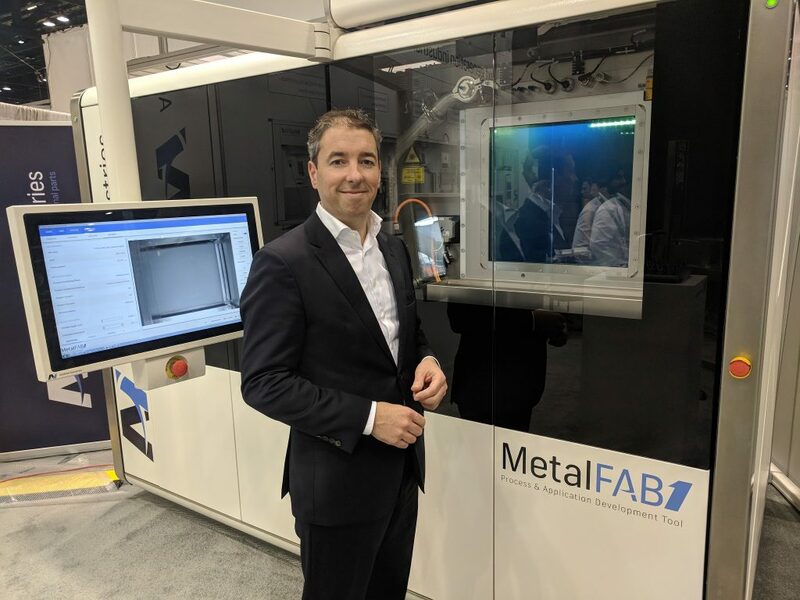 Visitors hoping to see Additive Industries MetalFAB1 system at the location marked in IMTS show guides will need to walk a little further. Daan Kersten, co-founder and CEO, explains that the floor at the original location would not take the weight of this industrial metal 3D printer and directs me to a location at the other end of the West building. Additive Industries CEO Daan Kersten. Photo by Michael Petch. Here, Kersten shows me the MetalFAB1 3D printing with Inconel 718, using 4 lasers simultaneously. Two modules are running for the first time at IMTS. The modular system is designed for series production and the CEO tells that a 7 module set-up was recently delivered to a soon to be announced customer. MetalFAB additive components. Photo by Michael Petch. More announcements will also be made by Berlin’s BigRep. 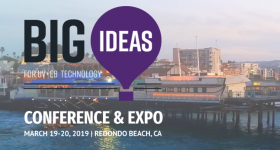 This developer of large FDM 3D printers has strengthened its presence in North America during the past year, particularly with appointment of Frank Marangell as President of BigRep America last summer. 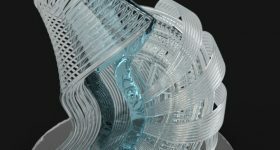 The forthcoming announcements for November 2018, most likely at formnext in Frankfurt, hint at two new machines. 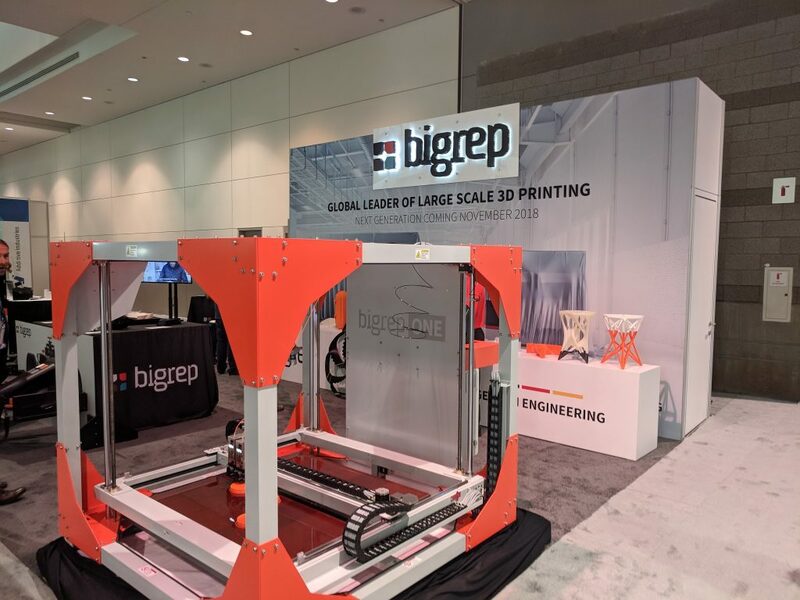 BigRep at IMTS 2018. Photo by Michael Petch. 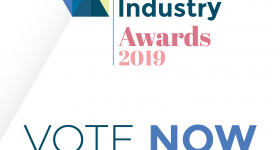 3D Printing Industry is already looking forward to that show, formnext is a must-attend for anyone in the industry and the primary additive event during the second half of the year. 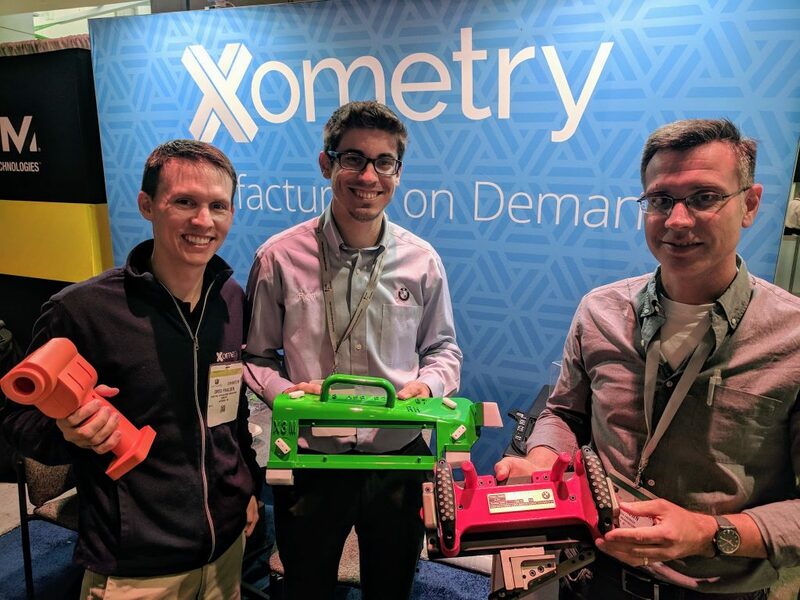 At Xometry’s booth, and later during a presentation by Director Greg Paulsen, I learn how “Additive Saved the Supply Chain” and specifically about the now standard use of 3D printed parts on the production line. Ryan Lambert from BMW and Greg Paulsen of Xometry at IMTS 2018. Photo by Michael Petch. 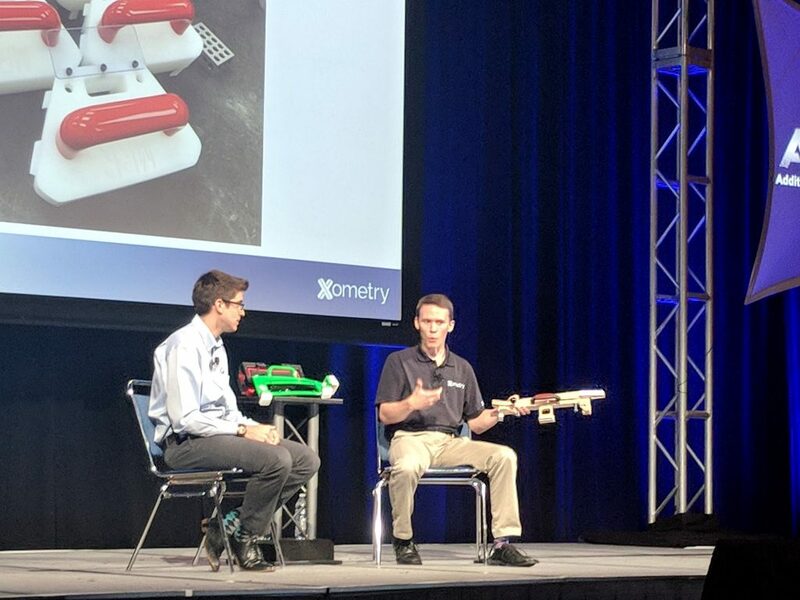 According to BMW’s Ryan Lambert, a Lead Mechanical Design Engineer, the appeal of Xometry is the services they offer in addition to 3D printing. Lambert explains that while BMW has worked with additive for many years, as Xometry also offers CNC services, post-processing and rapid quotation when it comes to ordering jigs, fixtures and grippers for automotive production the “one stop shop experience” is invaluable. A selection of tooling made by Xometry for BMW. Photo by Michael Petch. Protolabs also has undeniable expertise in many of the above areas. Joe Cretella, Applications Engineer, took me through some of the wide range of services available from this international digital manufacturing company. Presently, production DMLS is a significant area of growth for Protolabs and having added sheet metal capabilities via an earlier acquisition, the company can offer an even greater number of options, should AM be unsuitable for a specific job. 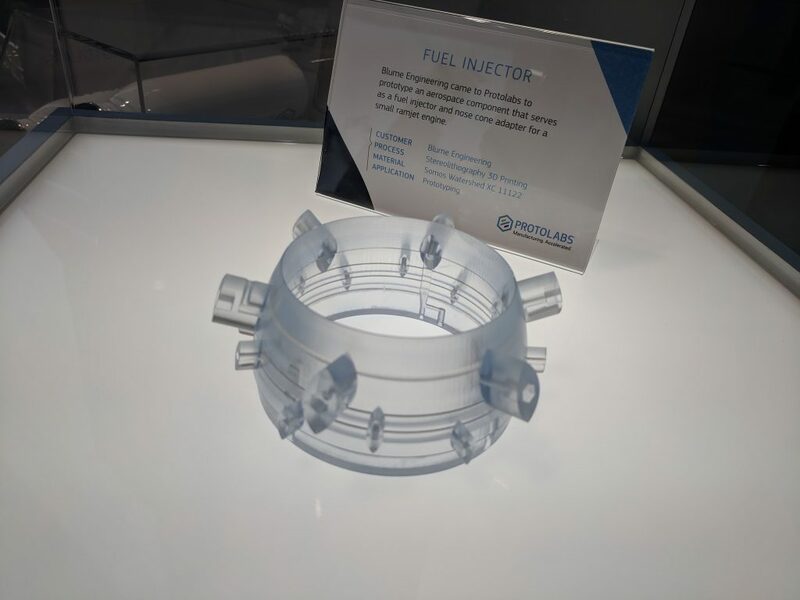 Cretella tells me that visitors to IMTS are intrigued by the wide variety of AM technology available, but also the range of finishes that Protolabs offers. A 3D printed fuel injector made by Protolabs. Photo by Michael Petch. Also, during day 2 (day 3 if you count press day) at IMTS I attended a roundtable discussion for two new reports. 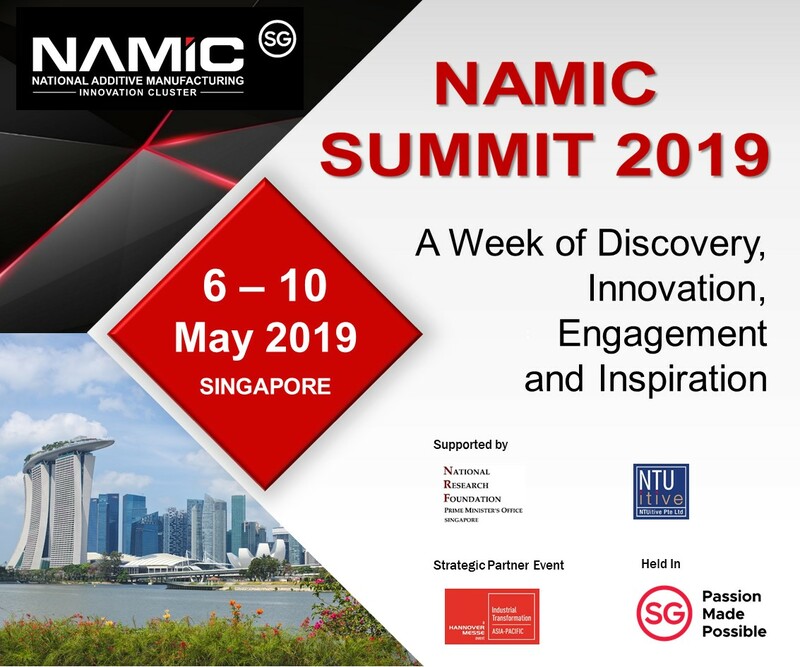 Hosted by SME, the Smart Manufacturing Skills: Preparing, Training and Compensating America’s Workforce discussion covered topics ranging from how to motivate and retain the workforce and Industry 4.0/Manufacturing 4.0 and the factory of the future. As IMTS opens to the public for the third day there is still a lot more to see. Having clocked up almost 20 km walking around McCormick Place and offsite events since Sunday I’m beginning to wish that I did have access to an automated Whirlyball cart to ferry me around. 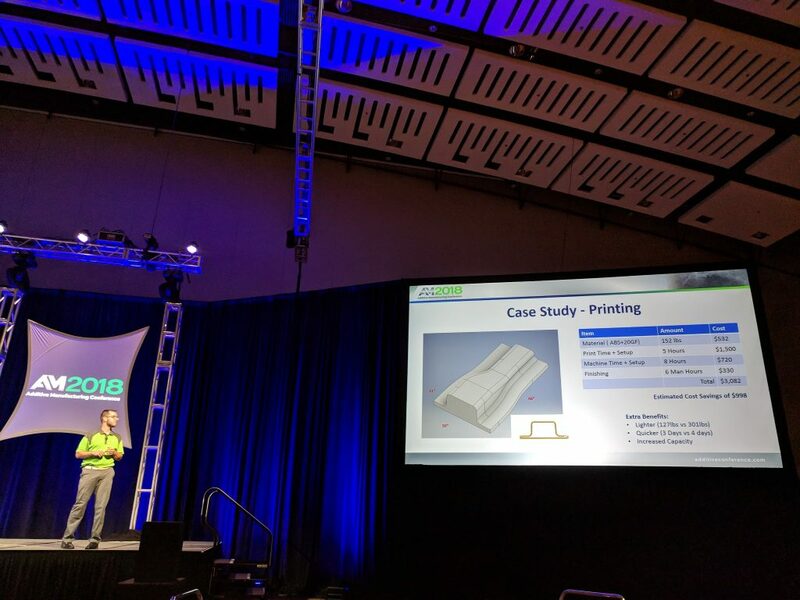 Featured image shows The Additive Manufacturing Conference opening on day two of IMTS 2018. Photo by Michael Petch.